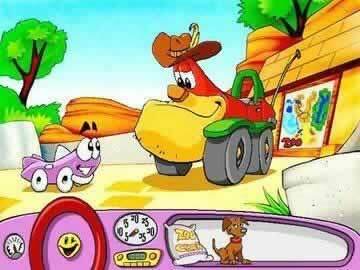 Putt Putt Saves the Zoo Game - Download and Play Free Version! 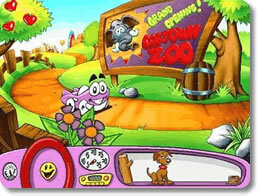 Help Putt Putt find the missing baby animals so the zoo can open! 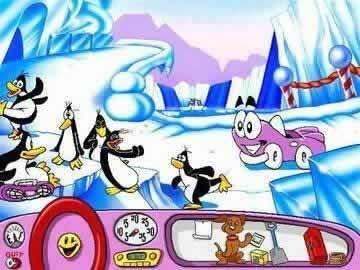 Putt Putt and Pep need help to reunite the little ones with their parents before Outback Al can open the gates to the zoo. During their search of the missing baby animals, players swing across alligator-flooded rivers, play ice hockey with a polar bear, build a bridge out of icebergs, bop with dancing penguins, and more. This zoo is full of loyal friends and captivating challenges that are sure to run wild through any child's imagination. The zoo features 3 different areas to explore: Arctic, Grasslands, and Jungle. Kids can learn about animals, click on the landscape to get different responses, find items to help with the adventure, and watch fantastic cartoon animations.